In this era, each domain is a part of the advancement that exists in every vapour and particle of the universe. 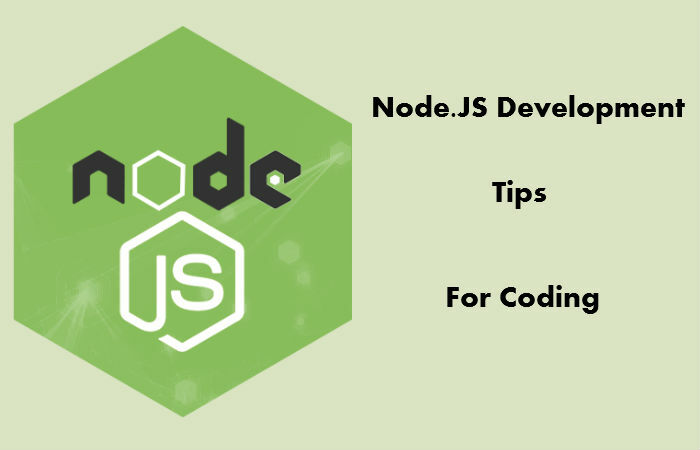 Node.js development is an integral approach of this arena with its popularity growing fast. Businesses are using this universal development framework to create efficient and lightweight web apps. Each component of the web is improving day by day and this is what makes it dynamic enough. In Node.js development spectrum, a professional developer is one who writes clean code. For coding, you cannot expect to input bugs and complexity. Thus, it is necessary to use general coding principles for naming and use of variables & functions. It is better to organize code into small pieces in order to stay away from complications in the development process. Consequently, this helps developers easily grasp the code they only need to read small section with minimal complexities. The best part here is to keep things simple by envisioning the clever ideas. Moreover, it will help things function fine not just at the given point of time, but also in the future. The monitoring and performance products can help understand codebase and API in a better way. With this, one can transcend above traditional monitoring and hence calculate user experience. So, APM products can identify a slow loading transaction from end-user area along with suggesting the root cause. If you are creating a small app where to third-party caching mechanism integration will be an overhead, you can handle it inside your NodeJS app. However, the only consideration is, you should run it as a default single-threaded mode. Being single-threaded, only one instance of Nodejs application will run to process all requests; as happens in a desktop app. Hence, it is somewhat dissimilar to an app based on other web programming languages such as PHP/Ruby/Python, etc. To do so, declaring a global variable will be accessible to all the requests. So, you should always remain careful about the same too. The most critical features of Node.js are its non-blocking IO and asynchronous runtime. Developers can take the advantage of speed and flexibility to serve requests in a faster mode as compared to other languages. In order to do the maximum utilization of these features, it is always advisable to use asynchronous methods in your code. If you want to test a nodejs function to know its working, Node.js shell works the best. You need to run ‘node’ and it will bring you the node shell. 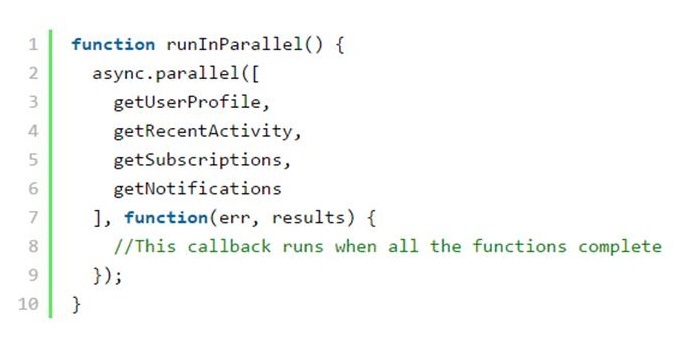 Write code in the similar way a text editor follows and it will behave nice. An important point to notice here is that node shell does not have support for ‘exit’ or’quit’ just like other cli tools. So, you need to write a valid NodeJS statement to exit the process. GZIP is a software app that works well for file compression and decompression. A large group of servers and clients of today support GZIP. When you request a resource through a GZIP compatible browser, a server can compress the response before sending it to the browser. This can reduce time lag and latency. You need to assure that GZIP can be used at all the times; when you respond to the clients and making requests to the remote servers. Doing this can improve the overall performance of your application. ES modules, supported natively with Nodejs under command line option, are widely used with transpilers or the @std/esm library. Their usage has been seen since Node.js 8.5 behind experimental modules flag. As per the features, ES modules are capable of importing CJS modules with a default export called module.exports. Dynamic import() operator fits well here as there is no provision of dynamic importing for the modules. It is a fair practice in your package.json file to specify a version to use or keep ‘*’ to always have the latest version. It’s nice to update all your packages to the latest version with several improvements, fresh features and bug fixes. But, it works fine in the development mode instead of production. You can solve any sort of compatibility issue later. It is practically risky to use dependencies as listed above to use in the production environment. This is because any package might break in midway and result in your app to crash down. So, it is better to use them in the earlier stages of development. But, make sure you migrate to the particular version based dependencies when product comes under final deployment stage. Developers should say thanks to the strong new client side MVC frameworks AngularJS and BackboneJS. The reason is, these ease the way for them o create dynamic, one-page apps. These frameworks expose APIs that send JSON responses straight to the client instead of going through the server. If you let Node.js to render server-side, this sends backwards an HTML page for each request. Node.js development can save bandwidth and reduce latency with client side rendering at great rate.